In 2004, the Red Hawk cell spar was installed in 5,300 ft of water in the US Gulf of Mexico (GOM). Then owner Kerr McGee heralded it as the world’s first cell spar. 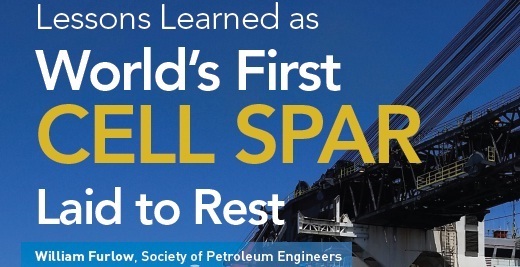 Ten years later, it remained the only cell spar fabricated, and it again made history as the deepest floating production unit (FPU) ever decommissioned in the GOM. InterMoor’s Todd Veselis, Manager, Projects was interviewed by William Furlow from the Society of Petroleum Engineers for this article.